All Replies on New shop - 93.28% complete! 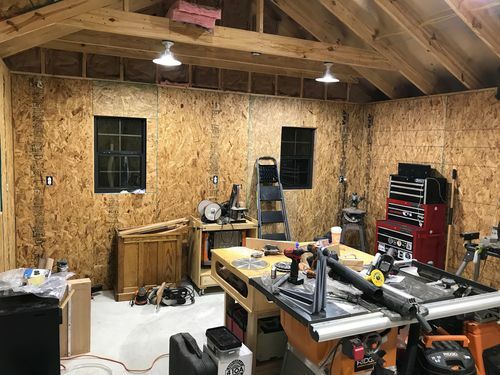 New shop - 93.28% complete! Ha, thanks! The dog will be a permanent shop fixture, so I have to plan on her taking up some space! In that case you might want to reposition her away from the door to make getting materials in a little easier! 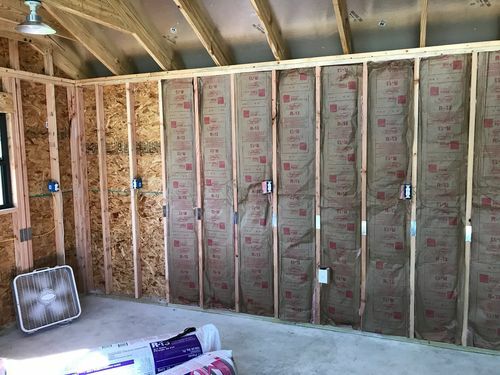 Not sure what kind of projects you like to do, but You may consider relocating your jointer along the 20’ wall parallel with the TS and using the 16’ wall near the door for incoming material storage. Personally, I find having the TS, jointer and either a radial arm or chop saw located near each other to be the most efficient workflow since I tend to use them together as sort of a work cell. 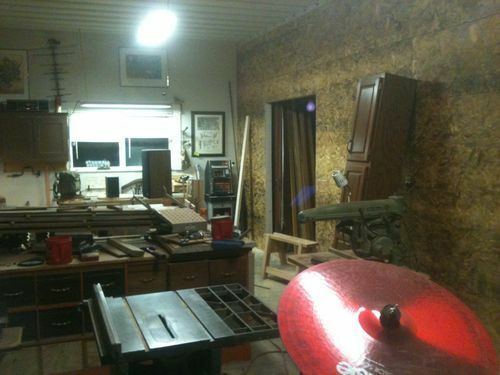 In my shop the TS is in the middle as you have it, radial arm and chop saw along one wall next to the TS, Jointer along the other wall next to the TS. That way I can move easily among the three tools as I prep stock. I would suggest a concrete pad in front of the door. Hi All – Thanks for all the input. 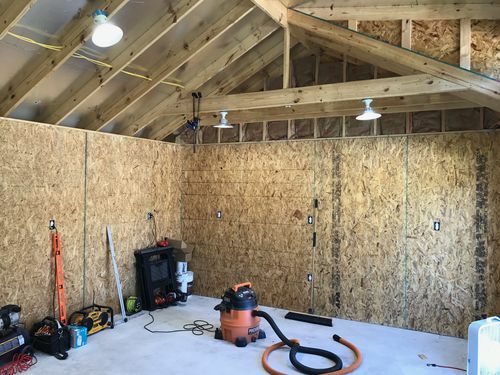 I got the walls insulated and put the OSB up. 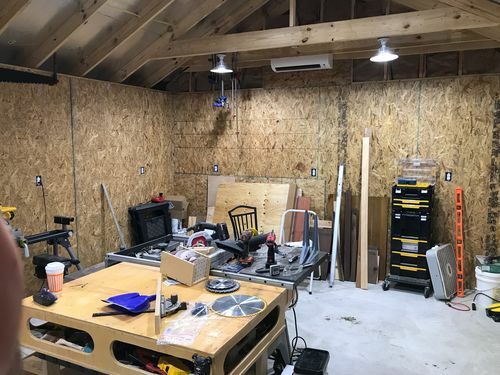 Still on the fence of weather or not to paint (wife thinks a woodshop should look like wood, I think I can get creative with a two-tone paint scheme… not sure yet). Also, we got delayed due to the hurricane last weekend, but AC will be installed this weekend and the tools will be moved to the shop! Here are a few pics. Also some night pics of the lights. I’ll start playing around with layout once I get the big stuff into the shop. My only suggestion is to add on a covered overhang on one side for lumber storage. Good choice on making sure the ceiling peaks in the center higher than 8ft. 320 sqft fills up quick. 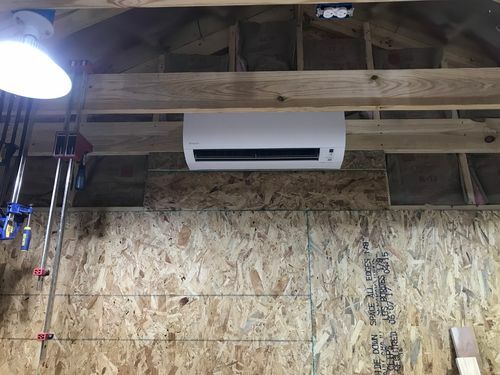 My last garage was about 305sqft with less than 8’ ceilings. New one is going to be 945sqft with 10’ ceilings. Make everything on wheels. A pad/deck in front of the door would be a good addition so you can roll things out if you need to. Yeah I’ve thought of that and will have to figure something out. I don’t store too much wood, so I’m hoping to get by for awhile with a small space devoted to still useable off-cut storage. Your new shop is awesome! What a great dedicated place to work in. Green with envy here sir! Yeah I ve thought of that and will have to figure something out. I don t store too much wood, so I m hoping to get by for awhile with a small space devoted to still useable off-cut storage. My problem is I’m a wood hoarder. 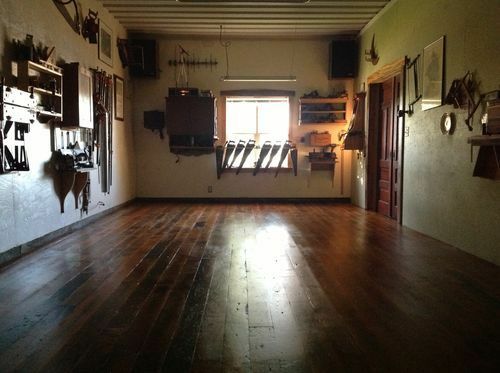 Regardless, your shop is extremely nice looking. I’m on your side with the painting vote. Make sure you put white semi-gloss or gloss paint on the ceiling to better reflect light. Looks fantastic! Now, I don’t mean to rain on your parade, but I think you’ve gotten a bit ahead of yourself. From those pictures, I’d say you’re no closer than 92.94% of the way to completion. Just don’t want you to get a swollen head or anything. Congrats on your new shop and on marrying a good woman! Looks fantastic! Now, I don t mean to rain on your parade, but I think you ve gotten a bit ahead of yourself. From those pictures, I d say you re no closer than 92.94% of the way to completion. Just don t want you to get a swollen head or anything. 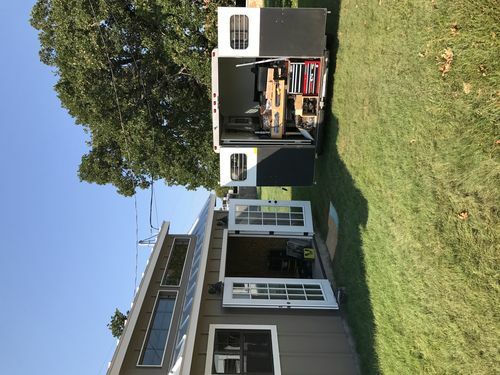 You’re right on two points… the more I realize I have to move my big heavy tools into the shop the more I think that %Complete number should be close to 80%! 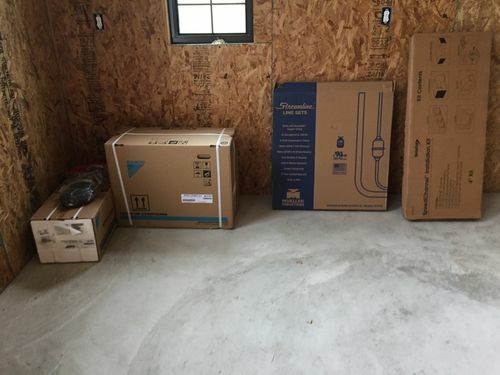 Also the wife is a smart cookie – Give me a shop and get house projects at a much discounted rate! Great looking space and congratulations on your progress in such a short time. It goes so much faster when not having to piece it together by yourself 1 Saturday per week. I spent more than a year of 1 day per week on mine and still have a year’s worth of work to finish. I’ve never been a fan of painted OSB for the interior, it ends up looking too blotchy and unfinished for me. Maybe just seal the OSB with a few coats of laquer, and leave a wood look inside? Might need to turn a couple sheet around so the spray painted text is facing in. I think a lot of shops get to the 93.28% complete then stay there. I’ve been stuck on finishing the interior of my shop for months now. Its just so nice to start making sawdust that has nothing to do with the build, I’ve started coping with the unfinished-ness of mine. Love the shop, it looks great inside and out except for the unpainted osb… I’m likely in the minority, but that stuff simply must be painted or it just looks whack to me. The black overspray, the blotchy appearance, the darkness, it all adds up to something not finished / not complete. That looks great! The floor really brought some character into the shop. You’re right about the OSB, however it’s kindof growing on me… I don’t mind the look AS much. I agree it would look better with paint. 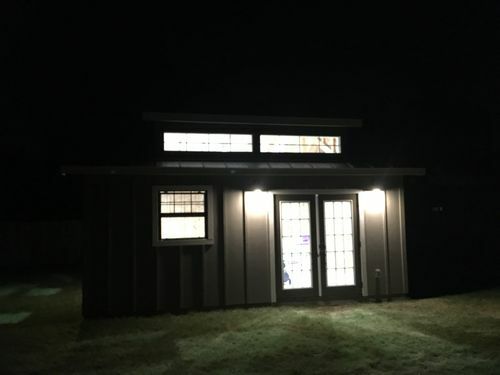 Did you prep the OSB at all before you painted it? I can’t tell from the pics, but it looks pretty smooth. Love the shop, it looks great inside and out except for the unpainted osb… I m likely in the minority, but that stuff simply must be painted or it just looks whack to me. The black overspray, the blotchy appearance, the darkness, it all adds up to something not finished / not complete. Looks great to me! FWIW, I’d vote paint. I especially like the siding style, abundant light and power panel. Did you do the build? WOW exactly what I wish to do.. ONE COMENT! 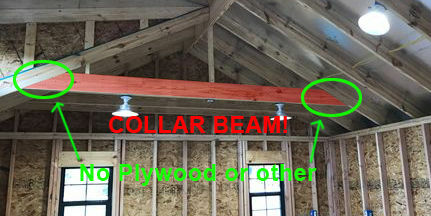 I don’t see any COLLAR beams except for one on each end and I don’t think they are very connected to the roof joists.. I am not being a D**K! I know collar beam would be tough with that dormer in the middle but??? ALSO I don’t see any plywood or other stuff to tie the collar beams thereto the rafters! Hi Richard – Thanks for the feedback, i did not do the build myself. The pics I posted are a bit deceiving. 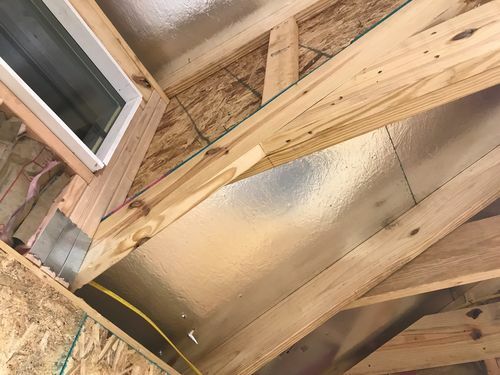 Those collars beams closest to the dormer are doubled up, there are beams behind the two collars closest to the dormer which attach to the roof joists. We didn’t want any collars or rafters attaching the roof joists in the middle, but we decided on raised collars @ about 9ft. There are two collars on either side. These come into the room about 4-5feet, the middle 10-12ft section where the dormer is, is still open as you can see. The light metal roof wouldn’t need much in collar support, but we decided since we have the dormer adding weight to only add collars on either side and then be able to use that as storage. Hopefully these next pics illustrate it better. Also, I got the AC in this weekend and have also begun “organizing”. I converted my tools to 220v now, too… which is nice. WOW exactly what I wish to do.. ONE COMENT! I don t see any COLLAR beams except for one on each end and I don t think they are very connected to the roof joists.. I am not being a D**K! I know collar beam would be tough with that dormer in the middle but??? ALSO I don t see any plywood or other stuff to tie the collar beams thereto the rafters! You have a nice shop and a great shop building. Congratulations. 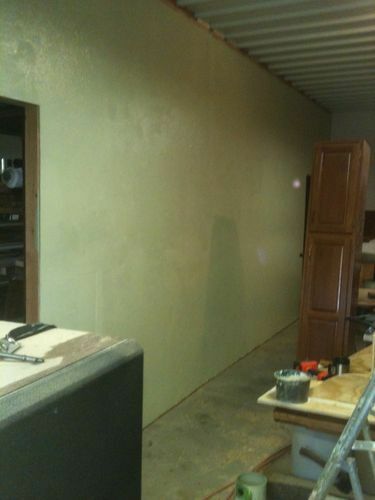 Painting the OSB will be something you do not regret later. 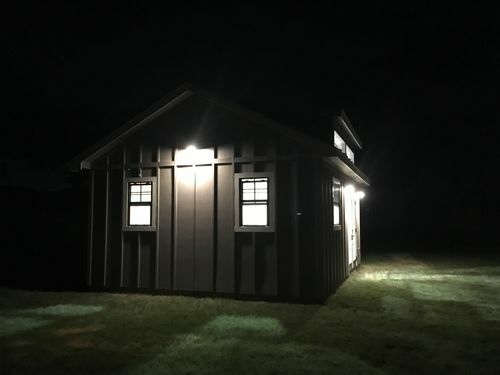 I have a small utility building and painting did wonders for the look and the lighting as well. Like Smitty suggested OSB is dingy looking. Do be advised it soaks up paint like a sponge. I am currently working on two small boxes that will hold garden sprayers and am on the 3rd coat of paint after primer and just now seeing complete saturation of the wood to the color I had, blue. Caulking the corners and joints helps with sealing and smoothing as well. I would put some plywood on those collar ties….great storage area! !